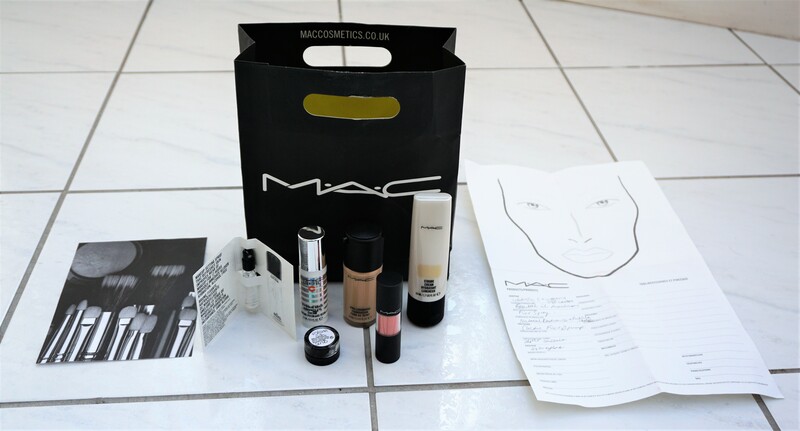 Last month, I visited the House of Fraser counter in Glasgow to learn more about their brow products. I haven’t used brow products much before and so I really wanted to learn more on how to fill in my brows properly. One of the make-up artists, Rachel, was super helpful and showed me how to fill in my brows using a few of their products. She introduced me to the Goof Proof Brow Pencil, as I said I wanted something which would give me a natural look (click here to read more about this product). Rachel advised me that shade 3 would be the best match for me. I’m sooooo happy I asked for her help with shade choice, as I would have probably chosen shade 5 to match my brows exactly. I would have never thought to have gone for a slightly lighter shade but it turns out that shade 3 is the perfect match for me. I also asked for a shade match at another counter in Glasgow and the make-up artist matched me to shade 3 as well. So it was really helpful to see that the advice is consistent across branches. I purchased the Goof Proof Pencil and since then, I’ve gone on to purchase a couple of the other products from the range: Ka Brow (a cream-gel brow product) and Ready, Set, Brow! (a clear shaping and setting brow gel). I also just picked up Gimme Brow the other day (a tinted eyebrow gel). I got Gimme Brow quite a while after I got the other products, so that’s why it isn’t in the ‘sneak peek’ photo above. One of the nice points about the Benefit brow products is that your shade is consistent across the range. So if you are a shade 3 in one product, you are a shade 3 in all of them. It makes it so much easier to know which shade to buy! Click here to read my post on the Goof Proof Brow Pencil. Click here to read my post on the Ready, Set, Brow! 24 Hour Setting Gel. Look out for posts on other Benefit brow products over the coming weeks! Aside note: I also ended up getting a brow wax at the House of Fraser brow bar (Emma did it for me) as I felt like it would be nice to get them professionally shaped. Emma really set me at ease and took me through exactly what she was going to do. I was absolutely delighted with the results. My brows looked just like I wanted them to: natural but nicely shaped and tidied up. Having them professionally shaped has made it so much easier for me to fill them in properly as I can see the shape more clearly. So I would really recommend the brow bar at the House of Fraser counter in Glasgow! If you are thinking of getting your brows done at a brow bar but are a little nervous about it, it’s worth speaking to the make-up artists first and having a look at their brows while you were there. I did that and it really helped me feel that I would get my brows done in a way that would suit me. If you want to know more about the brow wax process, let me know and I will try to write a separate post on that aspect. 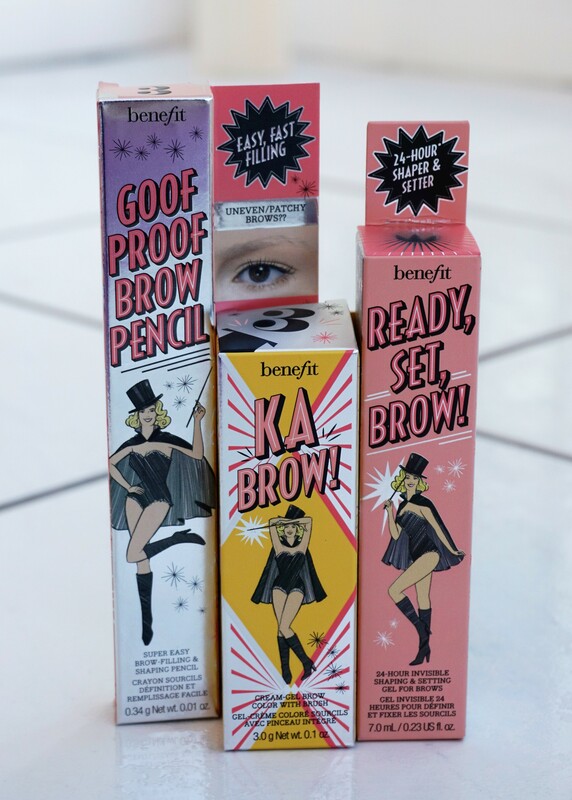 Have you tried any of the Benefit brow products? What do you think of them? Let me know in the comments section below.